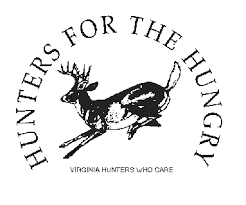 Hunters for the Hungry in Virginia is celebrating 25 years of providing meat to food banks and other channels for feeding the hungry. Thousands of people benefit from the program each year. Tab O'Neal reports on a group that has been feeding the hungry in Virginia for 25 years. "We're getting calls from food banks that have seen as much as a 300% increase in the number of folks coming in for assistance and they really could use this high protein, low fat meat which is so valuable to children and the elderly." "When we get meat it is already asked for…one case example…we delivered about 2300 pounds to the Feeding America Southwest Virginia Foodbank and they told us that by the next day that would all be gone." Arrington says that over the past 25 years they have processed and distributed over 6.1 million pounds equaling over 24.4 million servings or meals that have gone to those in need. "Hunters for the Hungry" is based in Big Island and serves the entire state. The U.S. is often called, the ‘world’s police force’ for its role in geo-politics. But it also plays a vital part in international economic development ---at a cost that’s much lower than many people think. A program created fifty-five years ago succeeded in cutting world poverty in half since then, with the help of the best and brightest ideas from American Colleges and Universities. And it’s now looking to cut it by half AGAIN.